The size of Chinese B2B EC market reached near 3.5 billion RMB in the third quarter, but its growth rate is little bit slow. According to the report from Eguan, the size of Chinese B2B EC market reached reached 3.45 billion RMB(= 0.55 billion USD) in the third quarter. It increased 1.8% compared with the previous period, and increased 13.1% compared to the previous year. It can be said that its growth rate is little bit slow after Q2 of 2011. 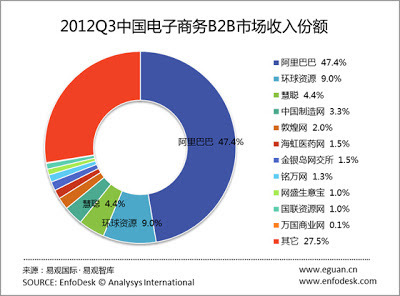 Next is the market share of B2B EC sales by each companies. Alibaba still domain near half of Chinese B2B EC market, but its market share decreased 5.9 point compared with Q4,2011. 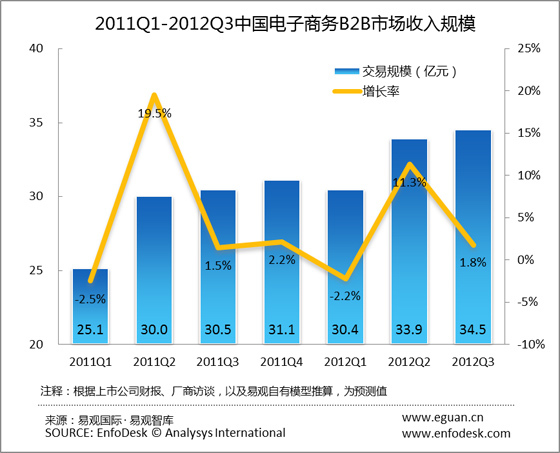 Global Sources also decreased their market share, and it decreased 6.0 point compared with Q4,2011. 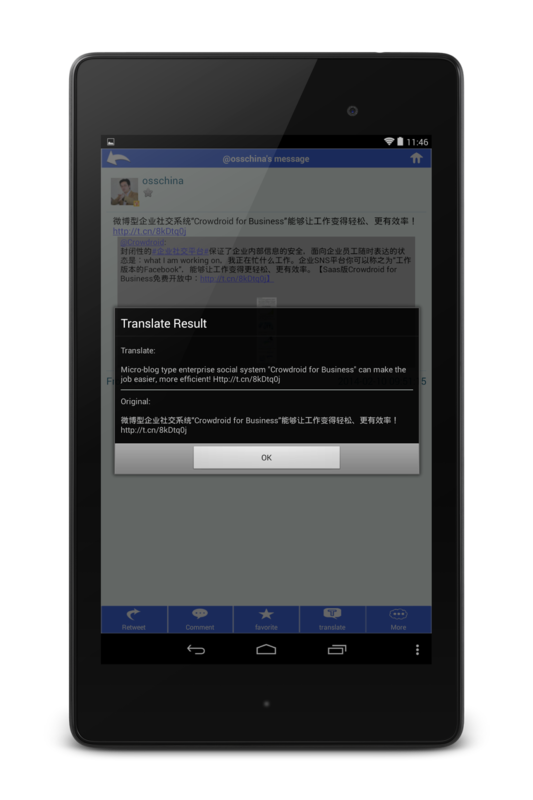 According to the report by eMarketer, Chinese B2C EC market is estimated high growth rate. Its growth rate is estimated increasing 94.1% compared with 2011, and the number of online buyers on the mainland will rise to nearly 220 million people this year. B2B EC market continue slow growth rate, but Eguan said that B2B2C market will be promising market in near future. We have to keep watching the trend and action of each related companies.